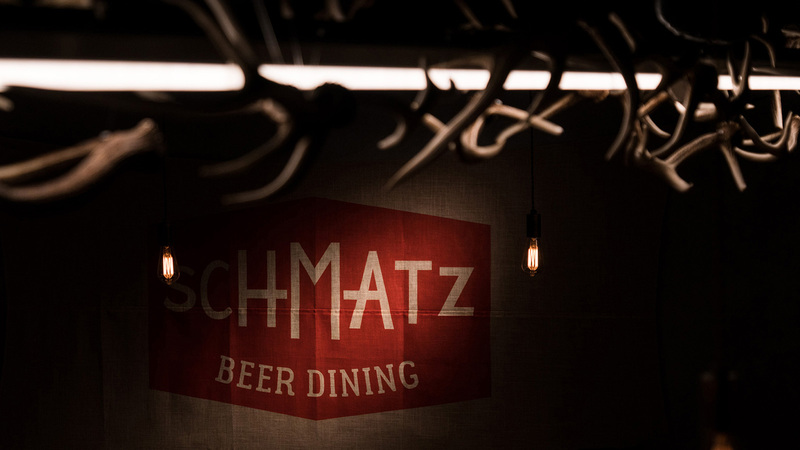 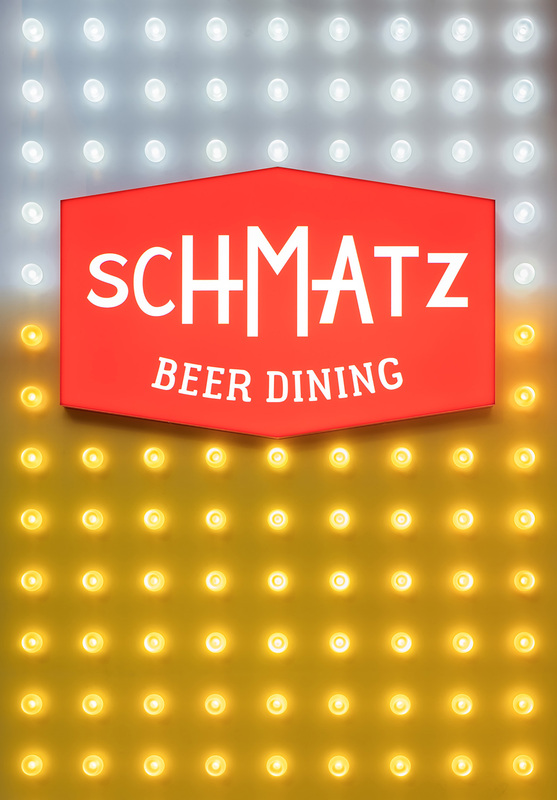 Introducing German beer and food concept restaurant for Tokyo based company SCHMATZ, in prime location at Ginza, Tokyo. 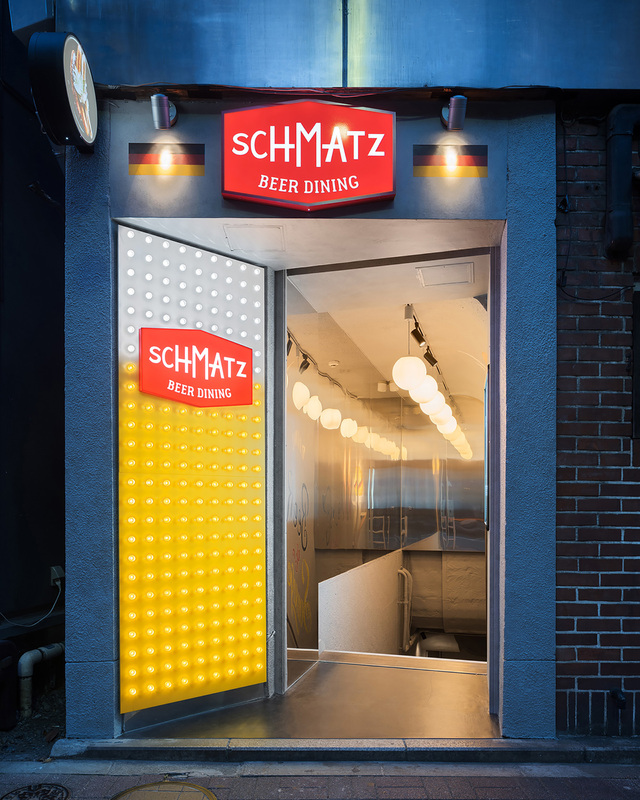 Entering the restaurant, the first impression has been drawn by the facade beer impression, created by many light bulbs, representing one of the brands' icons. 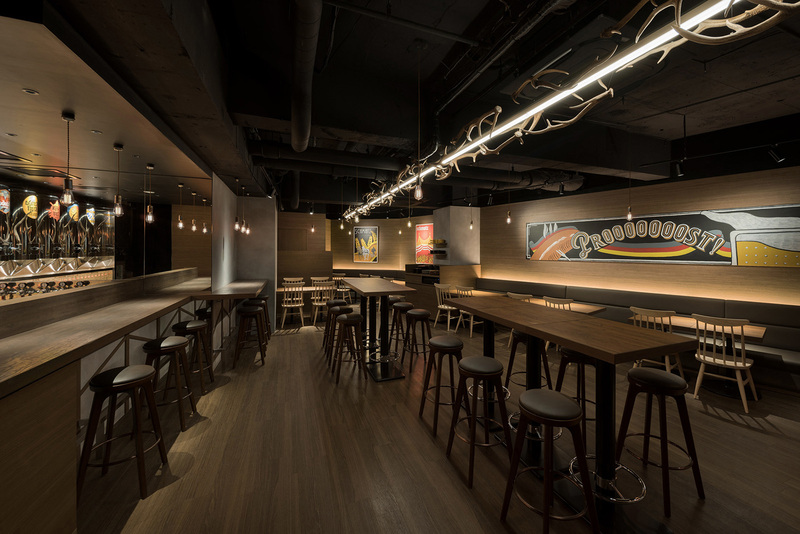 Entering the space, customers are surrounded by warm atmosphere, created by wooden materials and lighting reminding of a German traditional space with modern touch. 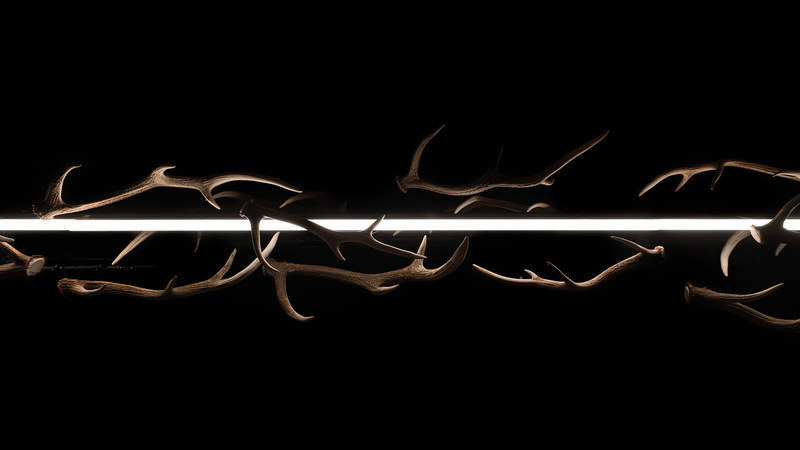 The attention is immediately drawn by a center lighting piece with floating deer horns around it. 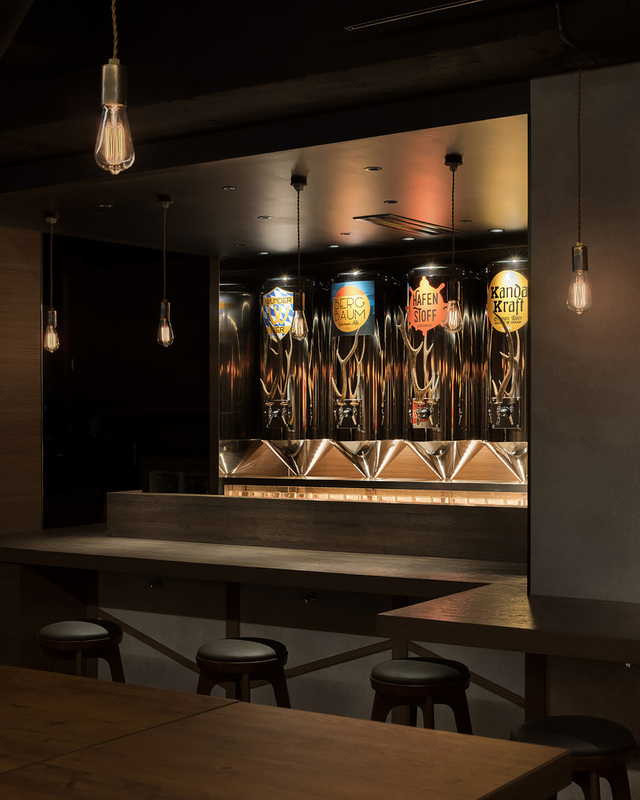 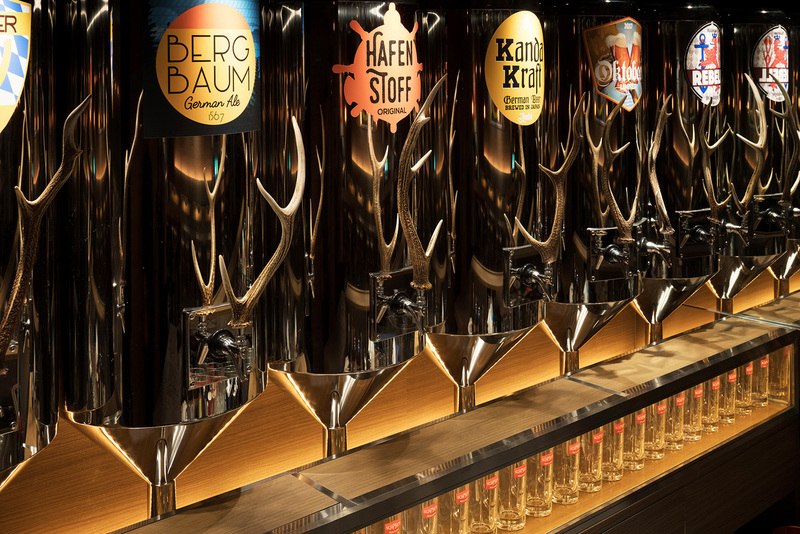 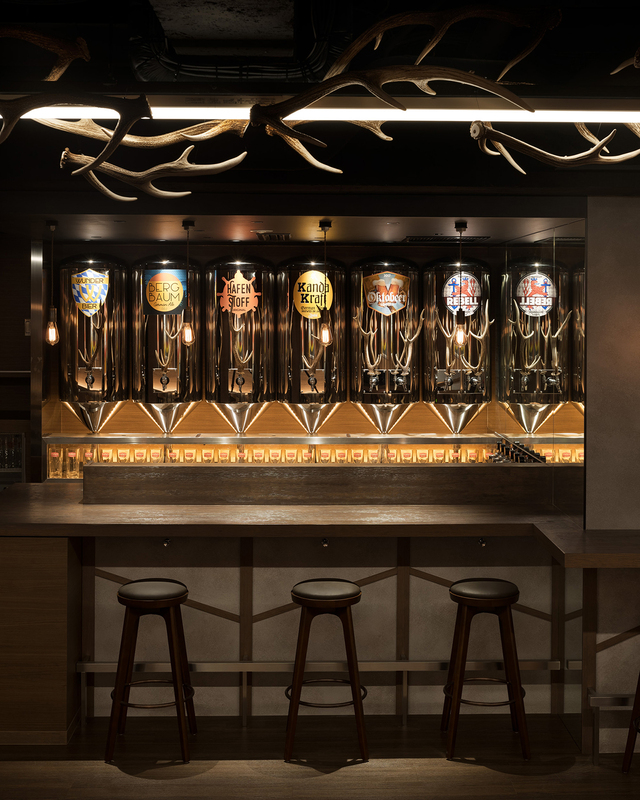 In addition, stainless steel beer tanks have been arranged behind the bar, presenting each of the beer brands by Schmatz. 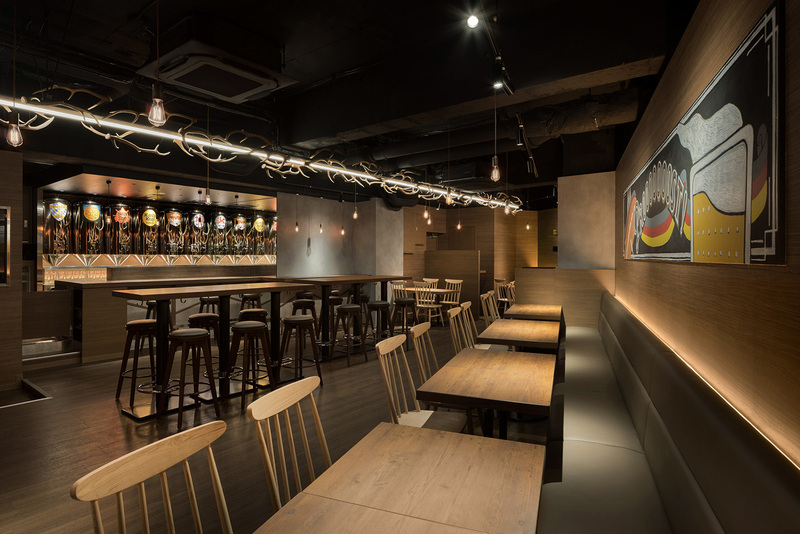 Details and patterns from traditional architecture and housing, created with a modern touch, surround the space, inviting the customers to experience a taste and feeling of Modern German dining space.